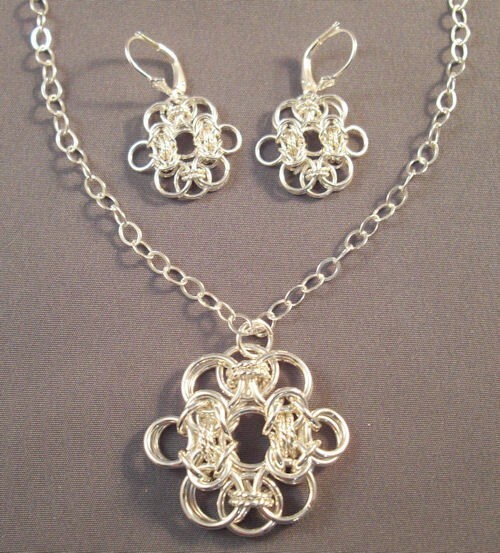 The Chain Maille Lace Pendant and Earrings is a wonderful set of jewelry. They go well with the Chain Maille Lace Bracelet in the Bracelet Kit section. They will add a nice sparkle to your face as the earrings hang from your ears. The pendant will get you a large number of compliments. This is an advanced beginner project. The neck chain is not included, although the leverback earring findings are included.